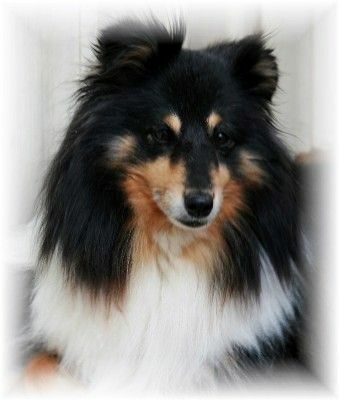 After a short, devastating time, I sadly lost dearest Donney to Extra Skeletal Osteosarcoma in June 2010. Donney was Dougall's litter sister, and despite living in his shadow in the show ring, she did, nevertheless have some lovely, well deserved wins despite her brother. Donney had two litters - her first to Ch Prosper Kan Tella Phella produced Dinda Nice N Clever. 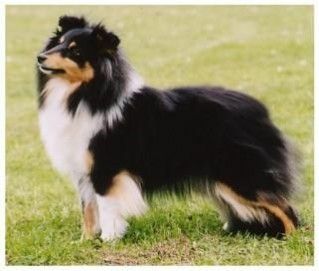 Shia, who is owned by Nicola and Sandra Goodman, is competing in Agility in Blenheim. 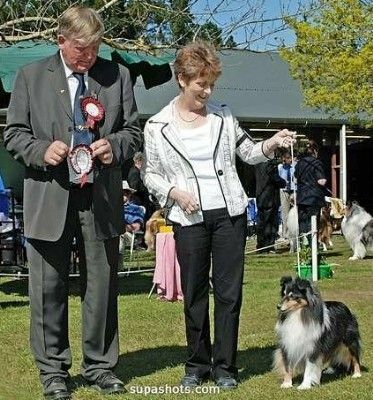 Donney enjoyed, what turned out to be, her final outing as she no doubt already had the tumour on her spleen, at the South Island Shetland Sheepdog Club Ch Show in September 2009 and I was delighted when she went Best Veteren in Show under Sheltie specialist Brian Turner, SA. An absolute delight to live with, Donney adored our four grand children, and had a particularly close relationship with Mila. She is so very sadly missed and will never be replaced in my heart. Travel well dearest Donney until we meet again.